Welcome to part 2 of my series of using PowerShell to send Discord webhooks. In this post I will be going over how to send embeds. If you’re just getting started with the process, I recommend reading Part 1 first. I’ve created a module that makes it easy to work with embeds, store configurations that contain your webhook urls, and make the whole experience seamless by using PowerShell classes. It will get its own post, and if you’re interested check out the Github repo here. You can see there’s a field for embeds that accepts and array of embed objects. Embeds in Discord are a way to make your message look a little spiffier. There are a lot of different features of embeds, and we’ll be covering a few of them. You can use this link to see how many different fields there are in an embed available to you. In this post I will be focusing on sending an embed that contains a color (on the left side), a thumbnail image, title, and a description (essentially the content of the embed). To get started making embeds, be sure to keep that webhook url handy from part 1. First let’s store that webhook url in a variable and create an empty array to add the embed(s) to. 2. Now let’s store values for the title, description, and color. Title and description are strings so those are easy. Color is also a string, but a string that represents a decimal value for the color. For now it is important to understand the value for green is 4289797. 3. Now it’s time to create a PSCustomObject that contains those items to add to the array we created earlier. 4. Let’s add that to our array. 5. Taking a peek at the array, we can see the contents of our embed in it. 6. Now let’s test it by constructing the payload and sending it over to the webhook url via Invoke-RestMethod. 7. Looking in the channel it should send to, it looks like the send was successful! Now that we’ve constructed and sent an embed successfully, let’s send one with a thumbnail in it. To do this we’ll start from scratch, and apply much of what we did above to a new embed object. We’ll be using the url property to store a url to an image. 1. Create the thumbnail object. 2. Create our embed object with the thumbnail in it. 3. Now we’ll create an array, add the embed object, create the payload, and send that over to the webhook url. Looking in the channel, we can see that it worked! Embeds are a little more complicated, but not too hard to work in with these webhooks and PowerShell. There is even more you can do, including adding fields to embeds and sending files. In part 3 I will be go over just how to do that! Let me know if you have any ideas, questions, or feedback in the comments below! A Discord Webhook allows you to send a message to a text channel auto-magically. It essentially provides a URL that is associated with a channel. You can customize the name of the sender, the avatar picture, and of course send over the contents of the mesage. More info on Discord Webhooks here. 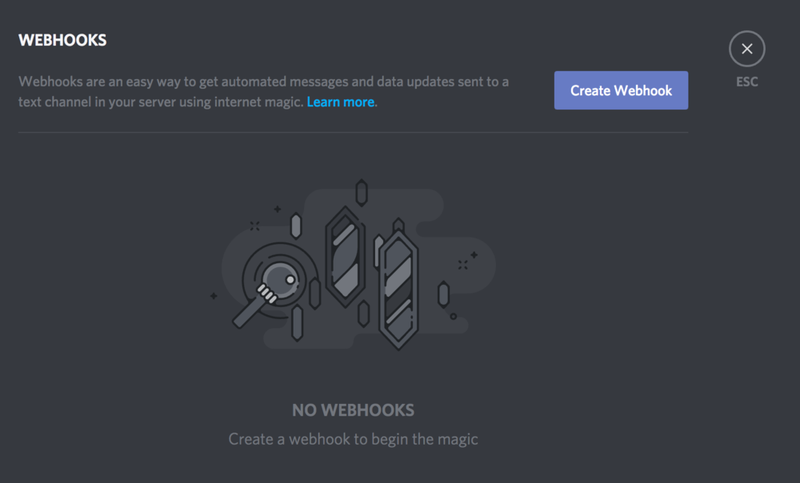 The first step will be to create the Webhook in Discord. 1. Navigate to Server Settings on the server you want to create the hook on. 2. Click Webhooks from the options on the left, and then Create Webhook on the right. 3. Fill out the name of the hook, the channel you want it to hook into, and optionally associate an image. 4. 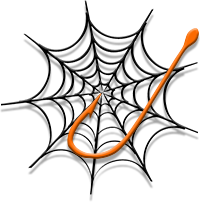 Save the Webhook, and get the Webhook Url, as we'll need that later. To utilize the Webhook in PowerShell, we'll make use of the Invoke-RestMethod command, and build a custom object as our payload. 1. Store the hook url we created earlier in a variable. $hookUrl = "your hook url goes here"
2. Store the content in a variable (this is the message you'll be sending to the hook). You can enter your message content here. With a here-string, new lines are included as well! 3. Create the payload as a PowerShell custom object, in order to get the properties converted to JSON later. 4. Finally, use Invoke-RestMethod to utlize the Webhook, and post the message. That's why we use ($payload | ConvertTo-Json) with this Invoke-RestMethod call. Let's run that, and see what happens in the Discord channel the hook is associated with. Keep an eye out for part 2, where I'll expand upon what we can add to the payload. This includes a different user name, avatar icon, and even embeds! Let me know if you have any trouble or ideas in the comment section, below! I am also interested in hearing how you plan to use your PowerShell -> Discord Webhooks.